Shanon joined our board in 2015 and comes to us from the insurance industry. Specifically, she works at Revell Coy Insurance where she's found her primary focus lies in the Affordable Care Act. She enjoys helping customers connect to the right health insurance for them and educating her clients on how to get the most out of their coverage. She is also a patient at OCH who has experienced great health care over the years. As a fair number of her clients are also patients with us, she's been proud to represent their voices while serving on the board. Shanon says she's enjoyed her service to OCH and feels that she, too, has grown a lot since joining the board. She's gained much in terms of learning about the organization, the health care industry, and how to help others who need it most. When she's not busy volunteering for us or doing other kinds of social activism and advocacy, you might find her singing karaoke at a neighborhood hangout. She's got an amazing voice and hopes someday to land a spot in a local band. Meet Shawn and you might think that because of his excitement for the Columbia River Gorge, he must have been born and raised here. However, truth be told, he's originally from New York City yet simply loves living in the Pacific Northwest. He's big into our local outdoor recreation. Depending on the weather and the season, he's prone to be engaged in the outdoors, bike riding, skiing or kite surfing. When he's not enjoying our scenic surroundings, Shawn spends his time volunteering and because he's got a financial background, he makes one capable treasurer. A retired CPA, Shawn served as the former chief financial officer for Mid-Columbia Medical Center and remains a contract CFO and consultant. He's an avid problem-solver—someone who likes to help people create resources that support their goals and empower them to understand how to reach those objectives, trouble-shooting along the way. He's also a big OCH fan and feels our organization is one of the most important in the region. As a board member who has been with us since 2013, Shawn has worked hard to support our mission and the migrant farmworker population that's so integral to our local fabric. Amy is a self-employed apparel designer with a special interest in project management, fundraising and event planning. She joined the board in 2010 and has served a number of years, supporting OCH in this volunteer capacity. For Amy, having a seat at the table means she gets to support our mission of advancing health and social justice for all members of the community. It's also a way for her to give back to a community she loves by helping ensure the goals and strategies set forth by OCH are in alignment with demands and are demonstrating results. Beyond her work and volunteer commitments, Amy spends her free time gardening, sewing, mountain biking and collecting antiques. Like some others on the OCH board, she's got musical talent—Amy plays a mean bass guitar! A board member since 2015, Bill brings a host of talents and skills to our table. He's a management consultant, an executive coach and the author of "Discussing the Undiscussable: A Guide to Overcoming Defensive Routines in the Workplace" (Jossey-Bass, 2007). Through that collective lens, Bill is committed to moving organizations forward in productive, healthy ways. Whether working professionally in his own business or volunteering for us, he views it all as a privilege and a way to do something that matters. In both roles, he gets to drop into so many different worlds while pursuing the same goal: making a difference. Apart from this, Bill likes to have fun! He enjoys gardening, hiking, biking and swimming. He also travels with his wife whenever possible. And here's an interesting tidbit about Bill: He's got a Ph.D and although most people assume this degree is in business, it's actually not. Rather, his doctorate is in religious studies, specifically the psychology of religion. "Eli" came aboard our governance team in 2016 and ever since, he's dedicated his entire education and career to community health. Currently, Eli serves as the program director at The Next Door, one of OCH's frequent partners in community health and an organization that's dedicated to strengthening families and children through supportive social service programs and resources. Before his promotion, Eli worked as a family services director at The Next Door and, prior to that, the program director of Nuestro Comunidad Sana. There—as well as at OCH—Eli was a community health worker. Eli earned his master's in social work at Portland State University and has a bachelor's in physical education from Seattle Pacific University. When he's not busy "strengthening our community," Eli is out and about pursuing his hobbies—soccer, mountain biking or perhaps DJing for parties and local events. He's a big music fan and can be quite the conversationalist. Recognize his name or voice? It's quite possible, considering this board member hosted his own local radio show for two years. As the director of field operations for Orchard View Inc., Ian certainly knows about cultivating success. Whether it’s yielding an abundant harvest in the orchards or contributing to positive outcomes in the One Community Health board room, all of this undoubtedly requires hard work, a commitment from start to finish, and a passion for getting results. Ian joined our board in 2015 and says he's enjoying learning about our organization, understanding health care, and engaging and collaborating with fellow board members toward common goals. Impressed with our mission to serve all in our community, Ian says he’s proud to be affiliated with us. That said, a veteran who served six years as a United States Army Infantry Officer, Ian is clearly no stranger to civic and community service. Today, with us, he’s helping shape both the present and future direction of One Community Health, particularly as it weather many changes against the backdrop of many health-care-related challenges and opportunities. When not working at Orchard View or volunteering for us, Ian spends much of his time helping people out in other ways, such as coaching youth soccer teams and teaching young, aspiring team members and leaders how to achieve goals and experience success, too. Mark Thomas joined our board in March 2015. A clinical chaplain who came to the health care industry after seminary school, Mark is a well-known member of the administrative team at Providence Hood River Memorial Hospital. Here as well as throughout the Columbia River Gorge, Mark has demonstrated a proven track record for local advocacy and promoting health, social justice and wellness. An innate "connector," Mark thrives off building positive relationships across organizations, creating collaborative synergy, and developing solutions for individuals as well as the greater good. "Together, we are better" is his mantra and outlook on life, work and service. In fact, that's why he's committed to OCH as a board member. Here, he's found the dedication of his fellow board members impressive and appreciates that all want to ensure we remain strong and of help to those counting on us for health care. In addition to his professional and volunteer endeavors, Mark makes time for fun and enjoys spending it with family, skiing, biking and experiencing the great outdoors. Susan is the former program manager with the Oregon Department of Human Services District 9, where she spent many years overseeing the self-sufficiency program. 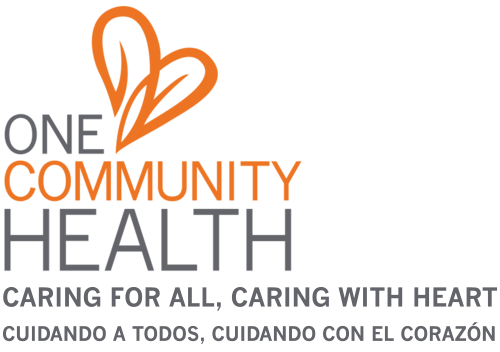 In 1991, she joined the One Community Health Board of Directors. Since then, she's maintained tireless enthusiasm for our organization, plus a sincere appreciation for our purpose here in The Columbia River Gorge. For Susan, serving as a board member is meaningful not just because of the goals accomplished but also because she gets to serve alongside other devoted people who collaborate to improve life for the residents in our region. Susan says she feels honored to contribute to the functions of our Federally Qualified Health Center, which enables people to receive medical care regardless of insurance or ability to pay. Outside of her volunteer role with us, Susan actively participates in the National Alliance on Mental Illness (NAMI) and support groups in our community.